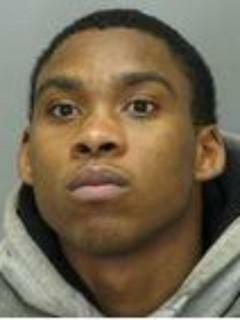 On Sept. 23, 28-year-old Jeremy McDole was shot several times by police in Wilmington, Del. McDole was not accused of any crime, nor was he running from police. He was in a wheelchair when he was killed. After the shooting, police continue to advance on McDole, yelling: “Drop the gun! Show me your hands! Hands up!” McDole appears to be grabbing at his stomach, and then trying to lift himself up. Seconds later, police open fire again, shooting at McDole at least 10 times and killing him. It is unclear from the video if McDole was reaching for a weapon or even had one. He does not appear to be pointing anything at the police. While police claim they recovered a .38 caliber weapon at this scene, his family disputes that McDole even had a gun. While McDole was killed at 3 p.m. on Sept. 23, his mother, Phyllis McDole, was never notified by the police. She had to call them in order to find her son’s body in the morgue. In response to the YouTube video, Wilmington police released part of a 911 tape in which a woman can be heard saying that McDole shot himself and asking police to send an ambulance. Since the whole tape was not released, there is no way of knowing if it was doctored by police or even when the call was made. The police appear to be using this alleged 911 call to support their claim that McDole was attempting suicide by shooting himself in order to get police to come and shoot him. One major problem with this scenario is that the first shot heard on the video, fired just seconds before witnesses can be heard saying, “They shot him,” was after police arrived, not before.